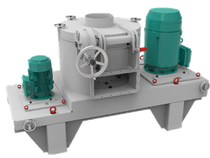 The TAURUS line of ball mills from ECUTEC are commonly used to mill granular materials into fine powders at very high throughputs. KGM mills are available in sizes ranging from pilot scale lab units to mills exceeding 1000kW. Each mill is custom designed for the application and can be configured for use with steel or ceramic grinding media. ECUTEC offers vertical roller mills and pendular roller mills that can mill soft to medium-hard minerals at very high rates. Pendular roller mills can deliver top cuts as fine as a 30 microns, while vertical roller mills can achieve top cuts as fine as 8 microns. 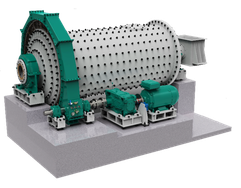 A turbo-classifier is used to retain material in the mill until the desired fineness has been achieved. 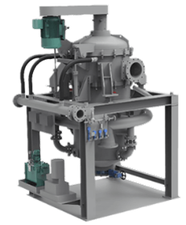 The SIERRA line of pin mills from ECUTEC offer a compact, low cost method to mill soft minerals into powders with moderate fineness. High speed counter-rotating pin disks deliver exceptionally high shear velocities.